Music is a weird business. 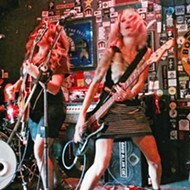 I've seen so many ultra-talented musicians go nowhere and too many vacant and sub-talented pretties make it big. Many artists claim that music piracy has made a career impossible while others credit piracy with giving them the exposure to succeed or get a record deal. It's a topsy-turvy music world out there, folks, one that kills geniuses in droves by age 27 but allows a douchebag like Justin Bieber to have a huge career. Simply puzzling! SEATTLE SCAMPS On April 18, Fleet Foxes plays the Madonna Expo Center, delivering their contagiously and relentlessly hooky pop nuggets with harmony vocals. 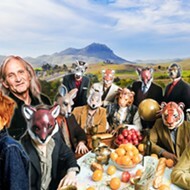 Personally, I love the small stories, the come from nowhere and luck your way to prominence stories, the doing it for the love of music stories, which is Seattle-based alt-rock act Fleet Foxes' story. It's the classic two high school buddies tale, where a love of Bob Dylan, Neil Young, and Brian Wilson drove Lake Washington High School students Robin Pecknold and Skyler Skjelset to start woodshedding in 2006, eventually creating a quintet that recorded its first album in various apartments and Pecknold's parents' basement. By 2007, Fleet Foxes had a quarter of a million plays on their Myspace site, even though they'd yet to physically release any of their material. Pecknold attributed their online success and eventual record deal with Sub Pop to illegal file sharing. 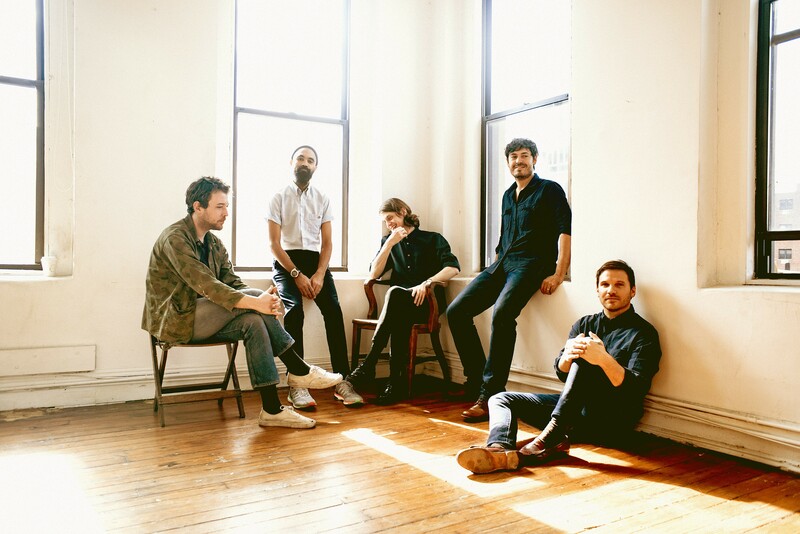 Their eponymous debut was finally released in 2008, followed by Helplessness Blues (2011) and most recently Crack-Up (2017), and this Wednesday, April 18, Fleet Foxes plays the Madonna Expo Center (7 p.m.; all ages; $30 presale at ticketfly.com and Boo Boo Records, or $35 at the door). Expect contagiously and relentlessly hooky pop nuggets layered with harmony vocals played by a band of skilled multi-instrumentalists. It won't take long to understand how they garnered various awards, including a Grammy nomination, as well as made many best album lists for each of their three releases. Fleet Foxes is brought to you by Numbskull and Good Medicine Presents, which also has a bevy of shows booked at Morro Bay's The Siren this week, starting with awesome AC/DC tribute band High Voltage on Saturday, April 14 (8 p.m.; 21-and-older; $12 presale at ticketfly.com and Boo Boo Records, or $15 at the door). These guys are righteous and deliver a show worthy of the mighty AC/DC! MUSIC ACTION COMIC KUNG FU ANIMATION! Peelander-Z brings its hilarious punk rock to The Siren on April 17. 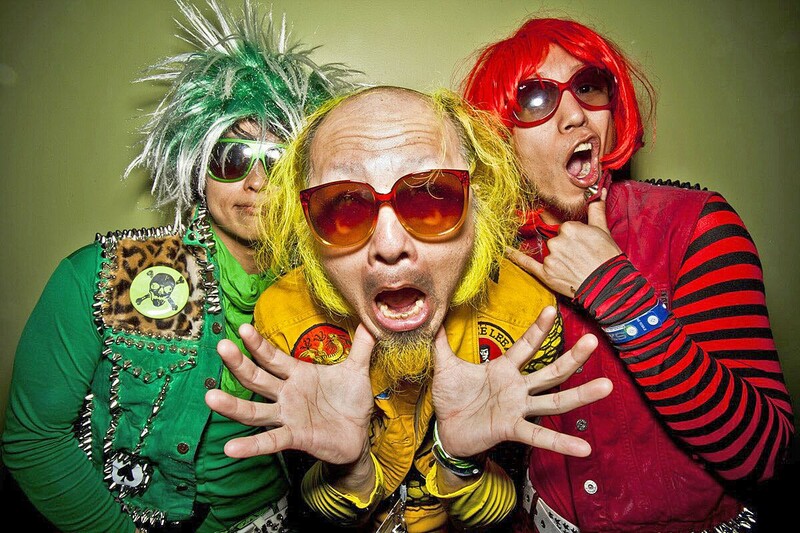 Japanese action comic punk juggernauts Peelander-Z play The Siren on Tuesday, April 17 (7:30 p.m.; 21-and-older; $13 presale at ticketfly.com and Boo Boo Records, or $15 at the door). "Have you heard of human bowling, wrestling, and Kung Fu action, or funny dance at the punk rock show? Peelander-Z knows how to entertain the audience by dragging them into the show. Peelander-Z is the best of the universe!" according to the band's humble bio! 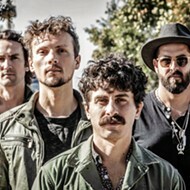 Santa Cruz-based punk, ska, reggae party band The Expendables, with opening acts Hold Up and Inna Vision, play an early 4/20 celebration on Wednesday, April 18, at The Siren (7 p.m.; 21-and-older; $20 general admission or $65 VIP meet-and-greet at ticketfly.com or Boo Boo's). 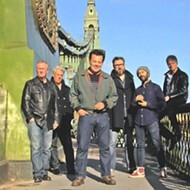 Formed 13 years ago, the band has five albums and thousands of touring miles under its members' collective belts. This one's gonna be a party! Don't forget about pop singer-songwriter and actress Hayley Kiyoko (Insidious: Chapter 3, Jem and the Holograms, XOXO) playing the Fremont on Thursday, April 12 (8 p.m.; $22). Rolling Stone magazine called her one of the "10 Artists You Need To Know" in 2017. Hard blinging rep sensation Nef the Pharaoh plays the Fremont on Friday, April 13 (9 p.m.; all ages; $20 at eventbrite.com and Boo Boo Records). Expect a lot of N-words and expensive jewelry on stage—"Look at my neck, bling blaow!" EDM producer Minnesota plays the Fremont on Saturday, April 14 (9 p.m.; 18-and-older; $20 at eventbrite.com and Boo Boo Records). "My goal is to make bass heavy dubstep/glitch-hop music that'll get you dancing, but it's not the same old three-note transformer step ... I try to focus more on the melodic side of dubstep, and hopefully, make quality songwriting a more relevant factor in the genre," Minnesota—aka Christian Bauhofer—said in press materials. Reggae performer Alborosie, with Tribal Theory and Pure Roots featuring Earl Rose, plays the Fremont on Sunday, April 15 (9 p.m.; $27 at eventbrite.com and Boo Boo Records). Socially conscious old-school style! 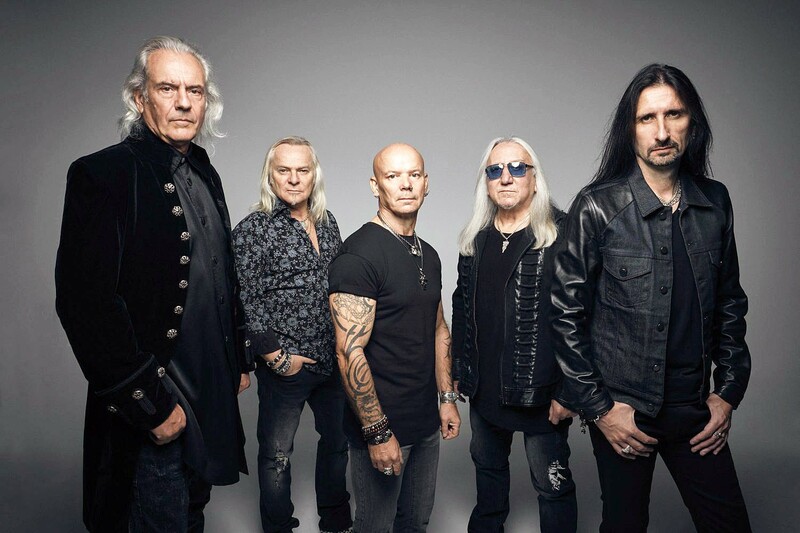 VERY 'EAVY Iconic British progressive hard rock act Uriah Heep plays the Fremont on April 18. Venerable British progressive hard rock act Uriah Heep plays the Fremont on Wednesday, April 18 (9 p.m.; $27 general admission or $102 VIP meet-and-greet at eventbrite.com and Boo Boo Records). This is a band mentioned in the same breath as Black Sabbath, Jethro Tull, Deep Purple, Yes, and Led Zeppelin—a band that helped invent British heavy metal with their debut album, Very 'Eavy, Very 'Umble (1970). Later this year, their 26th studio album, Living the Dream, is scheduled for release. Local hard rock quartet Stone Mountain—a band influenced by '70s rock with a mix of doom, metal, and psychedelic—will open the show. RIDE 'EM, COWPOKE! Texas country artist Aaron Watson will play directly after the second night of Cal Poly's 78th annual Poly Royal Rodeo at the Alex G. Spanos Stadium on April 14. 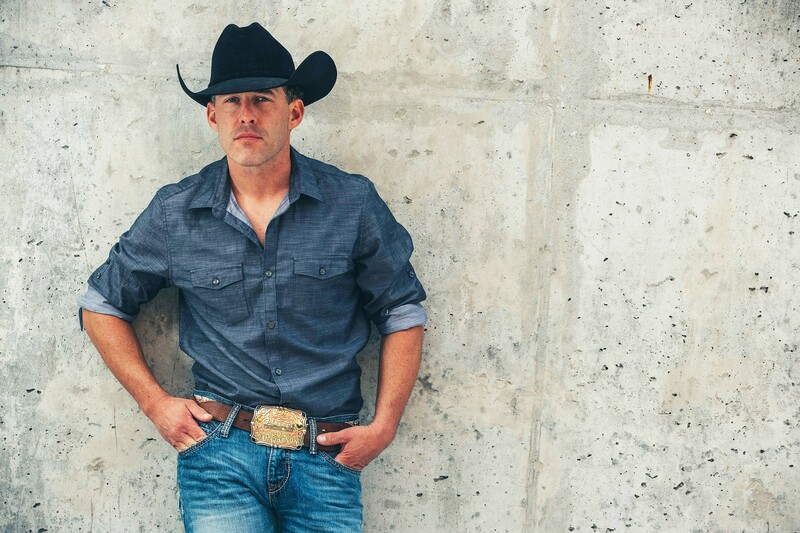 Texas country artist Aaron Watson will play directly after the second night of Cal Poly's 78th annual Poly Royal Rodeo at the Alex G. Spanos Stadium on Saturday, April 14 (the rodeo starts at 5:30 p.m.; all ages; ticket info at tickets.calpoly.edu). The SLO County Jazz Federation present its 35th Annual Jazz Piano Showcase on Saturday, April 14, at the Unity Concert Hall (7:30 p.m.; all ages; $20 general or $10 for students). Hear Mark Bocchicchio, George Garcia, Bob Harway, Marshall Otwell, and Paul Rinzler. Santa Barbara's Blown Over will debut their Cali rock steady sound at Frog and Peach on Saturday, April 14 (10 p.m.; 21-and-older; free). Think Sublime, Pepper, Slightly Stoopid, Iration, and the Dirty Heads. Activist performers Pat Humphries and Sandy O of Emma's Revolution brings their award-winning music to SLO United Methodist Church on Sunday, April 15 (7:30 p.m.; all ages; $25 at the door or $30 for preferred seating). Their songs have been sung for the Dalai Lama and praised by folk singer and social activist Pete Seeger. 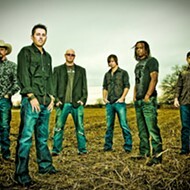 The concert benefits People of Faith for Justice. Pop act Carly and The Universe plays Frog and Peach on Sunday, April 15 (10 p.m.; 21-and-older; free). They've got some trippy-cool tunes and some crazy videos online. Check 'em out! INDIE POP KCPR presents Japanese Breakfast, the solo musical project of Michelle Zauner of Little Big League, at SLO Brew on April 18. 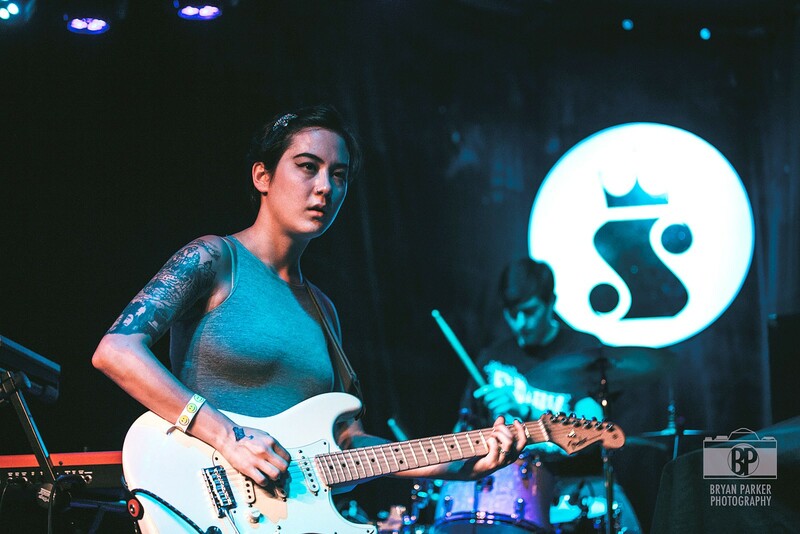 KCPR presents Japanese Breakfast and Snail Mail & And And And at SLO Brew on Wednesday, April 18 (10 p.m.; 18-and-older; $15 ticketweb.com). Japanese Breakfast is the solo musical project of Michelle Zauner of Little Big League. Get 'em on your radar! There are a couple shows off in the distance you need to know about so you don't miss getting tickets. First, Seu Jorge is playing the Fremont Theater on Monday, June 25 (9 p.m.; $35 to $50, at eventbrite.com). Rio de Janeiro native Jorge Mário da Silva is perhaps best known for the 2004 Wes Anderson film The Life Aquatic with Steve Zissou, in which Seu Jorge played a Pelé dos Santos, a crewmember with a penchant for singing acoustic versions of David Bowie songs. He's brilliant! On Friday, July 20, Otter Productions Inc. is bringing punk rock icons Social Distortion to the Avila Beach Golf Resort (6 p.m.; all ages; $39.50 to $175 at Boo Boo Records or online at otterproductionsinc.com). As of yet, the California Mid-State Fair, which will be in full swing that week, hasn't scheduled a performer for July 20, but it would have to be Tom Waits, Leon Bridges, Nathaniel Ratliff, or someone even better to make me miss Social D at the beach! Jade Jackson and Aaron Lee Tasjan open the show. BLACK GOLD! The SLO Record Swap hosts another chance to buy some vinyl and hang with the music community on April 15, at the SLO Guild Hall. The spring SLO Record Swap is happening this Sunday, April 15, at the SLO Guild Hall (11 a.m. to 3 p.m.; all ages; $2, children under 12 free), and will include a bunch of vendors selling a wide variety of records and equipment. 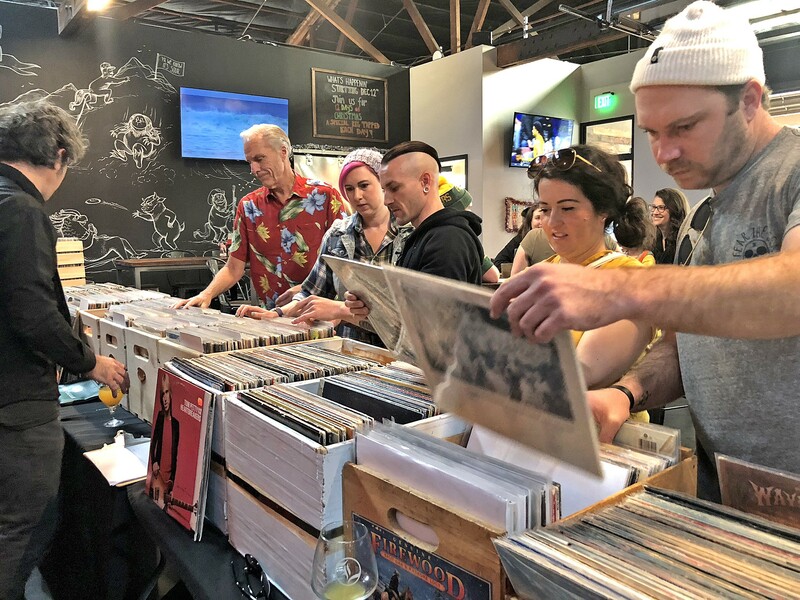 "Since our first event in 2014, the SLO Record Swap has grown into a community event of record buyers and music aficionados," organizer Manuel Barba noted. "On April 15, we'll be hosting 20 vinyl record vendors from all over California and utilizing the Guild's outdoor garden/grove as a space for people to convene and hang out." Expect a food court, Libertine Brew beer garden, and DJs spinning records. It'll be a cool place to chill with fellow record lovers. Other sponsors include Boo Boo Records and local public radio station KCBX 90.1FM.